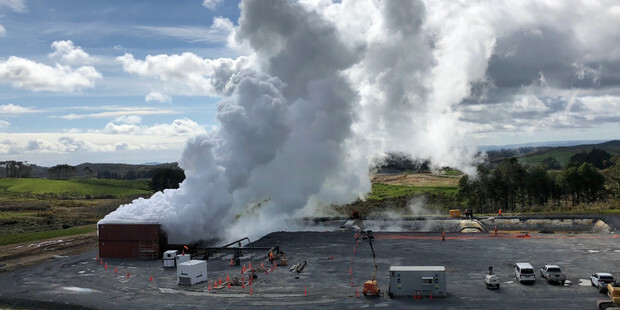 The company already operates a geothermal power plant at Ngāwhā — New Zealand's second largest geothermal field after the Central Plateau — producing 25MW of power. The new plant will more than double that to 53MW. Top Energy chief executive Russell Shaw said testing of the first new production well started on Monday with encouraging results. 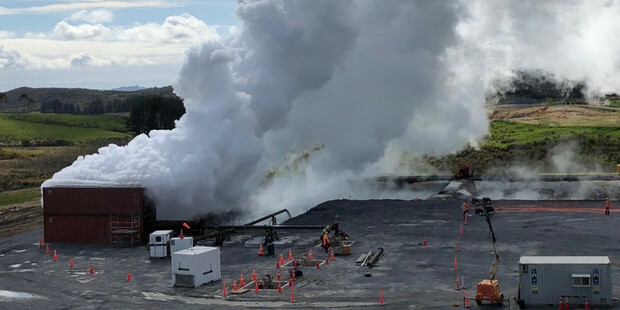 The tests involved the controlled release of geothermal fluid from the well, which caused steam to be released into the atmosphere. Shaw said the steam could look alarming but was harmless and not a cause for concern. Hot water produced by the tests was collected in ponds before being pumped back into the ground. Testing would continue on and off for several weeks, he said. The drilling is being carried out by Iceland Drilling, an Icelandic company with expertise in geothermal wells. The drilling rig arrived at Northport on April 25 and took six days and 60 truckloads to transport to Ngāwhā. Five 1750m-deep wells will be drilled for extraction and re-injection. Each well takes about 30-40 days of 24-hour-a-day drilling. The new power station will cost $168 million and is due for completion in 2021. If all goes well Top Energy will then build a third plant by 2025, boosting total production to 81MW. Peak power consumption on cold winter evenings in the Far North is around 70MW. The new plant, like the original power station, will be built by an Israeli company but assembled on site by local contractors. The earthworks contract went to Whangarei-based United Civil Construction. Council-owned company Far North Holdings plans to develop an industrial park across State Highway 12 from the power station in the hope of luring businesses with cheap electricity.